Hardwood floors are becoming popular once again due to their beauty and new preservation techniques. Unfortunately, these floors suffer from problems which aren’t found in other floor types. One of the most annoying and potentially harmful issues are cracks forming in or between the boards. This problem can not only be remedied, but also prevented with proper floor maintenance. One of the biggest causes of board shrinkage is low humidity. Hardwood floors can dry out over a long period of time, and running a small humidifier in the room or your furnace’s humidifier will help you avoid this problem. Proper humidity levels in your home will also improve your family’s health, so this preventative measure has multiple benefits. You may be tempted to fill the gaps with a wood filler. Unfortunately, this is not a permanent fix for boards affected by humidity, as the boards will continue to expand and contract. This type of cracking is considered normal for hardwood, and no filler method will hold up unless the proper humidity is maintained. Wood fillers are also not meant for use with large gaps. Putty fillers were once a mainstay of hardwood floor repair. Over time, however, the putty hardens, chips, and flakes. This leaves your floor looking even worse, and requiring you to dig out the old putty and replace it. For this reason, very few floor experts will still suggest using a putty filler. While not always popular, floor wax has the benefit of filling the tiny pores in your wood floor and sealing it against moisture. This not only prevents damage from spills, but it also helps to keep moisture in the boards from evaporating. Waxed floors need to be resurfaced periodically, but are less likely to dry out than non-waxed floors. 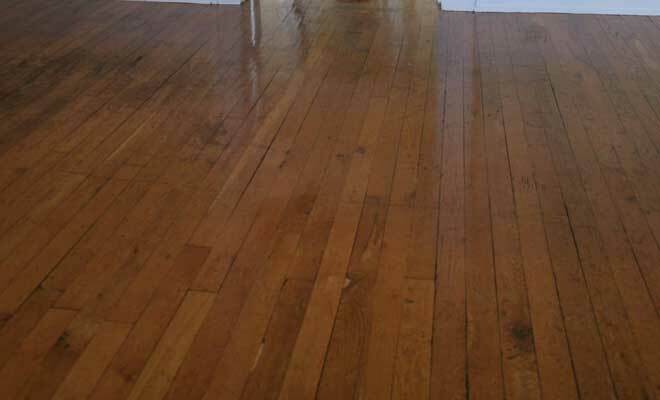 Some finishes may also help reduce the risk of your hardwood floor drying. 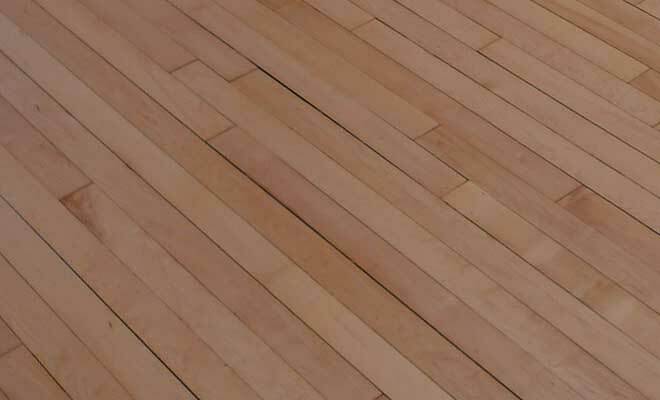 While humidity may affect your hardwood floor, permanent cracking is also a possible issue. In cases where the gaps aren’t repaired by increasing the humidity levels, you will need to fill these cracks. There are several methods to achieve this goal, which method to choose depends upon whether the floor is finished or unfinished, as well as the extent of the damage. There are many fillers available on the market which retain a measure of flexibility after drying. These are less likely to be pushed out if the boards swell, making them an excellent way to seal narrow cracks. Using filler is a simple process which requires a caulk gun and a caulk trimmer or equivalent removal tool. Begin by vacuuming the cracks using a hose attachment. This will help remove any particles that may interfere with the filler’s adhesion to the boards. Cut the tip of the filler tube at a slight angle and insert it into the caulk gun. This angle will allow you to better control the filler and avoid uneven application. Apply the filler to the crack as you would regular caulk, then use your trimmer to gently scrape away any excess. Be sure to follow the instructions on the filler tube carefully when cleaning up to avoid leaving stains or other blemishes on your floor. One popular method of filling larger gaps requires using strips of the same hardwood your floor is made from. Make sure the room is humid to avoid the risk of your wood strip being pushed out the next time your floorboards swell. Cut the strips and apply wood glue to both sides. Next, use a hammer with some sort of padding (or a rubber mallet) to drive the strips tightly between the boards, allowing a tiny bit to remain above the floor level. An old but popular method for filling large gaps requires rope. This method harkens back to the days of Arabian shipbuilding techniques and has an added bonus of providing some minor insulation. As with using pieces of wood, you will want to measure the rope to fit. Avoid synthetic rope, and wedge it into place. Unlike the strips, you will want to make sure rope fillers are flush with the adjacent boards. The rope may then be stained to match your floor. One really simple method to fill gaps in an unfinished floor is to use fine sawdust. The dust from sanding wood of the same species is preferable, as larger sawdust may show unwanted texture. Mix the dust with some polyurethane and fill the cracks. Note that this method only works on an unfinished floor and will clash with pre-finished floors. Sometimes the best method to repair your floor is to replace it entirely. This is especially true when the gaps are large and numerous, or there are other signs of damage to the boards such as warping or missing slivers. Even though this is an expensive method, attempting to repair a badly damaged hardwood floor can prove far more costly in the long run.